Yes, it's official. A sequel to the Oscar® winning film is in the works. Here's an article about this. This is not the first time they toyed with the idea of doing a sequel. But that story was too ridiculous. Now the story will be about the son of Commodus' sister ( played by Connie Neilsen). The son was played by Spencer Treat Clark, who's an adult today with an active film career. They couldn't get the actual son of Maximus because he was killed at the beginning of the story. 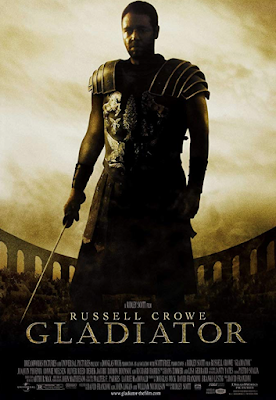 I guess it's THE SON OF GLADIATOR, when, in fact, it's not. It's very confusing but there you go. The PEPLUM genre is pretty much dead these days. Will this sequel resurrect it like the 2000 blockbuster did? Thanks for the news ... it's been my feeling that as Maximus and Lucilla (Connie Nielsen) in the past had an affair which she tries to reignite with the captive Maximus now that her husband has died, that young Lucius actually is the son of Maximus. For example, when Lucius runs up to the gladiators behind the iron gates, and introduces himself to Maximus, the latter gets a surprised, knowing look on his face. But this subplot never surfaces. Thus I always thought a prequel with Maximus as and Lucilla would have brought this out. Ridley Scott resisted any suggestion that Maximus and Lucilla (Connie Nielsen) should have a sexual relationship, because it would decrease his need to be with his murdered wife and son. Russell Crowe was also against it, feeling that it wasn't in character.